-Cook macaroni according to package directions, omitting salt. Drain and return to pan. 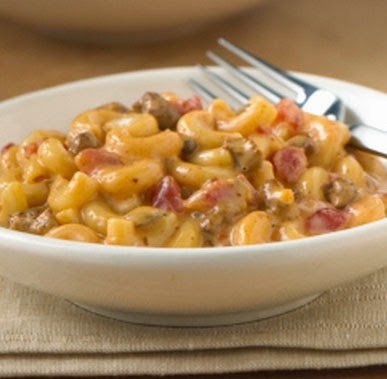 -Add chili, drained tomatoes and Velveeta to macaroni; cook over medium heat 5 minutes more or until Velveeta melts, stirring occasionally.